The 12th season of Ajujaht started in autumn 2018. A total of 341 business ideas were submitted to Ajujaht this season. The prize fund of the competition is 75 000 euros. Biggest number of ideas was submitted from Harjumaa and Tallinn, 162 and 43, accordingly. 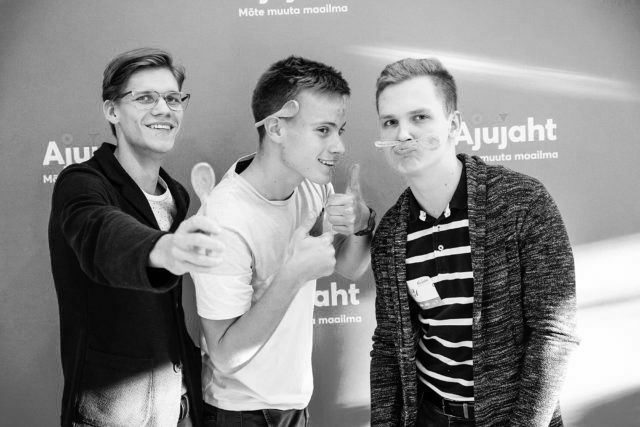 Total of 66 ideas were received from Tartumaa, 16 from Pärnumaa, 10 from Lääne-Virumaa, 9 from Raplamaa, 7 from Ida-Virumaa, 7 from Saaremaa, 6 from Võrumaa, 3 from Jõgevamaa, 3 from Läänemaa, 3 from Viljandimaa, 2 from Järvamaa, 2 from Valgamaa, 1 from Põlvamaa, 1 from Hiiumaa. The proposed ideas were divided into areas as follows: information and communication technologies (ICT) 99, social entrepreneurship 46, industry and design 40, tourism and service industry 23, health and biomedicine 22, energy and environment 21, creative economy 7. Presenters classified 83 ideas under “other” category.